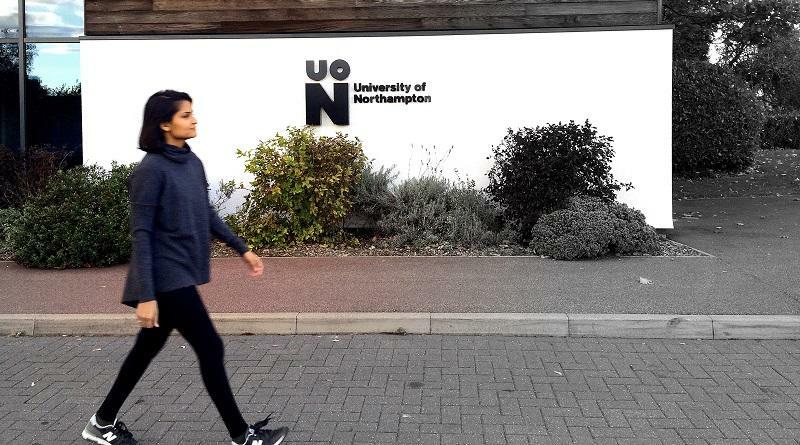 In her first contribution as Student Observer, Shalini Bisani reflects on her first encounter with country branding and how the powerful brand of London attracted her to pursue postgraduate studies in the city, leading to her PhD in Place Branding at the University of Northampton, UK. One of my earliest memories of India being showcased on the global stage is the launch of the Incredible India campaign in 2002. Seven years later when the campaign was amplified through national media, I was astounded by how the vibrant visuals had altered my remembrance and experiences of travel in India. It gave birth to a new image in my mind – a colourful India, rich in culture, heritage and tourism offerings. Around the same time, I became fascinated with the depiction of the Western world via media outlets like television and cinema. Having lived in the conservative and patriarchal Indian society all my life, I imagined the Western society to be more open-minded, liberal, brimming with opportunities and optimism. When I set out for my very first international visit – a cultural exchange programme in Poland, I was enthused to share the uniqueness of my culture and to experience the modern lifestyle and values of my international colleagues. As part of the programme, I had created a photo essay to depict India in all its glory. I pieced together pictures from the internet and from my own life – all set to impress my host community. After their initial surge of excitement to visit the exotic country, discussions on inequality, climate and cultural diversity were on the table. No matter how big or small, how rich or poor, how significant or insignificant you are (as a nation), the world is watching you. And they are making their own assessment whether to visit, invest or live in the place. After my enriching experience in Poland, I had started seeking information on where to pursue my higher education. In India, it’s common to seek better quality education in countries like the USA, UK, Australia and Canada. In the end, London’s long-standing reputation as a multicultural, creative hub and my past experiences and fondness of Europe drew me to the capital. At my Alma mater, Brunel University, I was introduced to the field of Place Branding. I had never heard of a place being referred to as a brand; this stunned me and then almost instantly resonated with me. I had always believed that ‘people make places’ and are bound to form an emotional connection with where they live, work and often times visit. I began thinking of all the possibilities branding could unleash for places, and revolutionise the way people perceive and even consume places. Talking to fellow students verified my assumption that certain kinds of people are naturally drawn to certain kinds of places. On some level, our (students’) perception – shaped by our past experiences, our friends’ and family’s experiences, information on the internet and mention in the media – of London and what it offered, matched our own identity and needs. The prospect of a better education, career and life attracted millions of students to the capital. The co-existence of diverse cultures and ethnicities in London prompted the image of a welcoming and open society. For the rest of my master’s course, I continued researching how People-Place connections can be channeled to brand places. Thereafter, every place I visited and lived in, I found myself wondering how my perception and attraction of the place had played a role in getting me there. I was consciously seeking experiences that resonated with my needs and identity. On returning from London, my first choice of city to work in was Mumbai. The city of dreams had me captivated with its vibrancy, nightlife and arts and cultural events. The booming creative industry and the sense of familiarity with the regional culture and language made a compelling case for my move. Working with renowned national and international brands exposed me to the emerging communication and consumption trends of the digital age. The blurred boundaries between producers and consumers of digital content got me thinking about the co-creational aspect of place development and consumption. This ongoing reflection on places and passion for understanding people’s place perceptions drew me back to studying in the UK, where I had first encountered the field of Place Branding. The role of residents in Place Branding had always interested me since I wrote my master’s dissertation – Fostering Brand Advocacy via City-Citizen Interactions. In my Doctoral research, I wanted to scale up both the region of impact and the stakeholders involved. The University of Northampton presented just the opportunity via its faculty sponsored Ph.D. Studentship within the Centre for Sustainable Business Development. Now the task ahead of me is to interrogate governance and stakeholder collaboration in place branding strategies in the county of Northamptonshire. 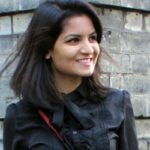 Shalini Bisani is a Doctoral student at the University of Northampton (UK), where she is researching government and stakeholder collaboration in place branding. Her research interests include sustainable tourism, citizen engagement and branded experiences. Connect with Shalini Bisani on LinkedIn.